The world premiere of a brand new musical version of Charles Kingsleys classic Victroian tale, written by Emma-Louise Tinniswood, David McCauley & Chris Snelling. Tom is a an orphan chimney sweep for works for Grimes and Grubb. One day they visit Harthover Hall to sweep the chimneys, but Grimes and Grubb have something more important than soot on their minds. Tom gets accused to stealing the silver and runs away, only to find himself jumping into the river and into a world he never imagined. 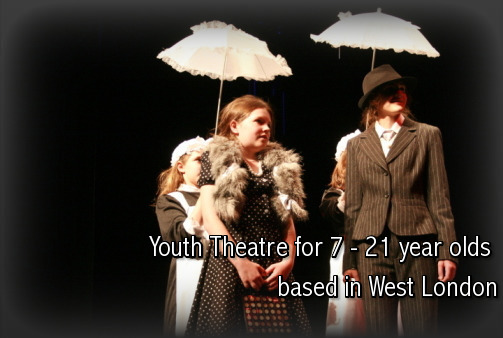 The show is performed by an auditioned cast of children and young actorss aged 7-15, many of whom also perform in TV, Theatre and Film.